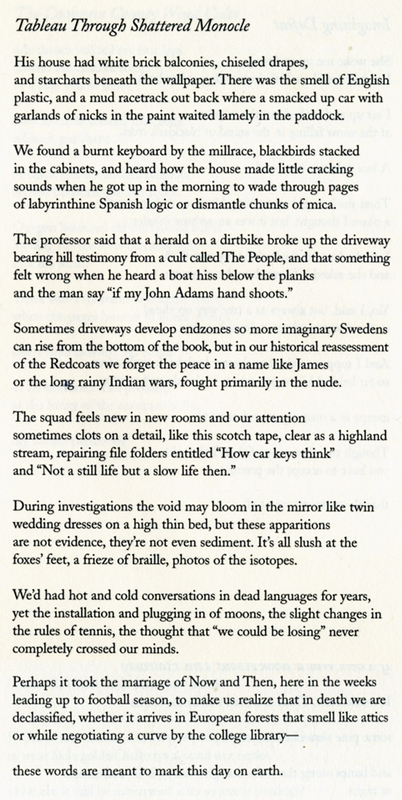 Pressed into my hand by a fan, the poetry of David Berman confounded all expectations. Based on the reputation of his band, Silver Jews, I expected something top shelf, but sheesh. Quoting back cover blurbs is lazy, but James Tate gets it exactly – one after another, the poems in Actual Air “freeze life in impossible contortions.” Bingo! And, it’s a visual notion, those “contortions,” which helps explain why all the associations the work evoked for me were visual as well. Besides fleeting vignettes, a melange of the worn south, bad advertising, and snippets of sci-fi, I kept thinking of a certain strain of pop art – the kind with some heaviness of meaning, of weight, at it’s core. Ruscha’s word paintings kept shimmering into focus, along with flashes of the instillation art of Ed Kienholz and the melancholy noir pop collages of Alexis Smith. 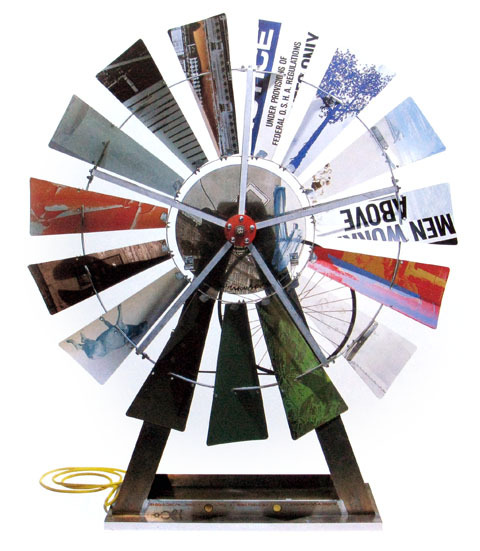 I think the Rauschenberg fan comes the closest to the sensation of reading the poems, though. At rest the phrases feel out of context. As it begins to spin and whirr, the phrases merge and mesh into coherence. As it spins down again it leaves you having experienced something singular, poignant, and fleeting.